Are you in the Agriculture Business or an Agriculture Service Provider looking for a place to connect with others, learn about emerging markets and find resources available in your county? 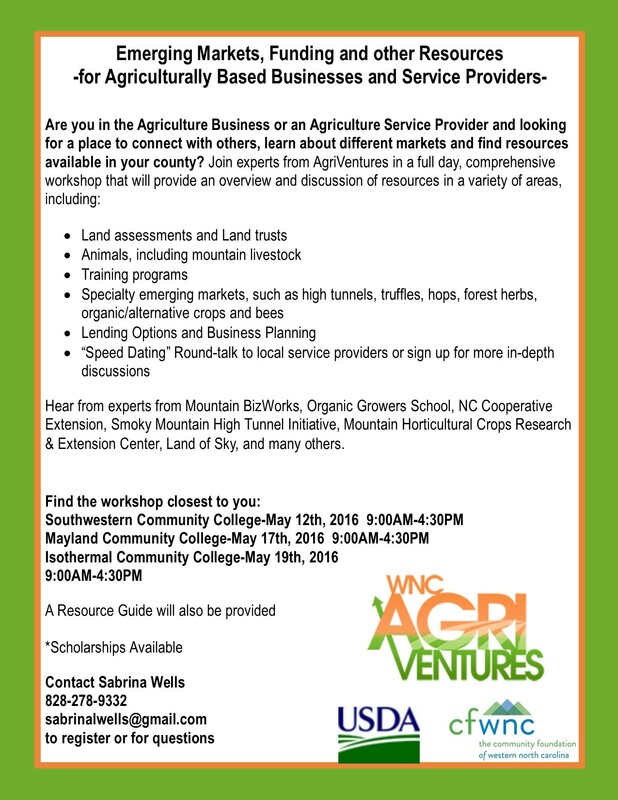 Join experts from AgriVentures for full day, comprehensive workshops May 12th, 17th and 19th in various Western North Carolina locations. To register or for more information call 828-278-9332.